Standard the M-Series screen has its screen fabric fall from the front. This way you can install the screen to a wall or ceiling and still have the screen fabric in front of a flatscreen or painting on the wall. This screen series can also have the motor installed on the left side. 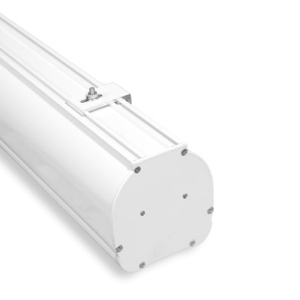 The standard color for our screen casing is white (RAL9016). The M-Series is also available with a black casing. 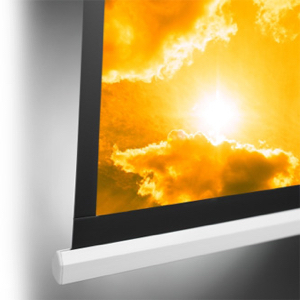 The Beamax M-Series electric screens are a true classic in the Beamax projection screen range. 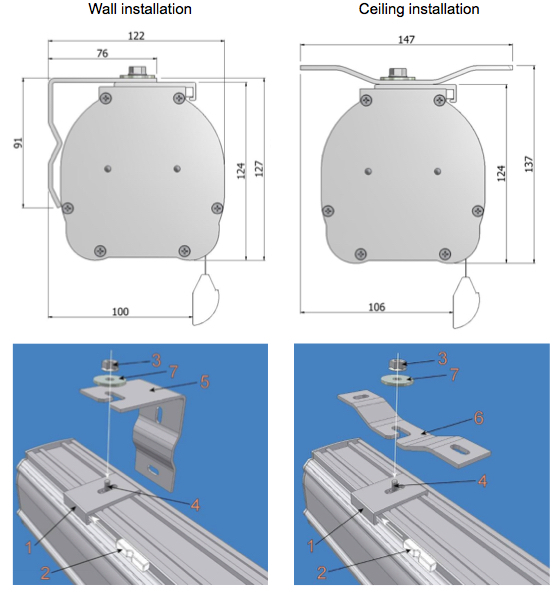 The Beamax M-Series screen holds a perfect symmetrical housing and offers a smooth finished projection surface that ensures trouble-free projection. 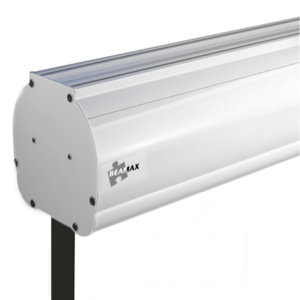 Another unique characteristic of the M-Series is the a-symmetrical roller tube that prevents horizontal lines from distorting your projection.